Across world politics, top footballers are being sucked into tensions over immigration and the lurch to the Right, as Mesut Ozil’s international retirement convulses supposedly liberal and stable Germany. Russia’s staging of the World Cup punctured the flimsy myth that sport and politics can be separated, with Mohamed Salah being steered into uncomfortable photo-ops with Chechen warlord and leader Ramzan Kadyrov a prime example of crossover. 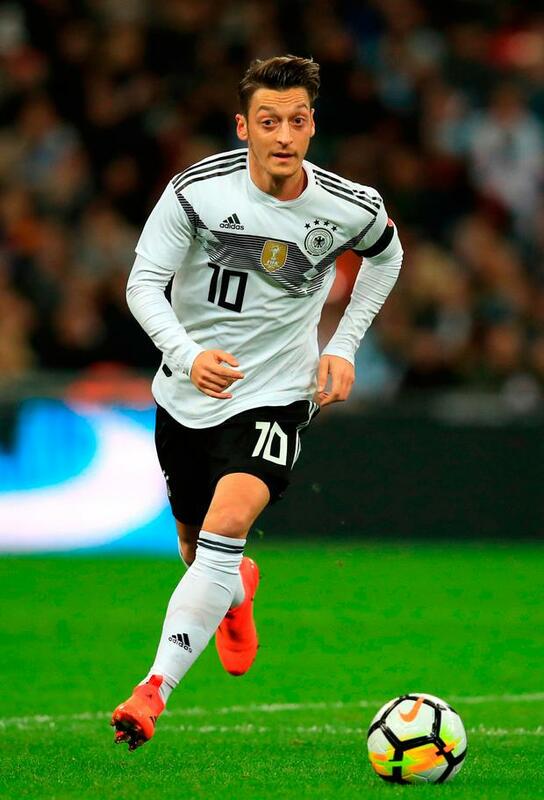 The altercation around Ozil stems from a photograph he appeared in with Recep Tayyip Erdogan, Turkey’s authoritarian president, which Ozil claims has been used to “scapegoat” him for Germany’s flop in Russia. Ozil’s statement is packed with interesting counter-arguments. On the Erdogan meeting at a “charitable and education event” he says: “We first met in 2010 after he and Angela Merkel watched the Germany vs Turkey match in Berlin. I’m aware that the picture of us caused a huge response in the German media, and whilst some people may accuse me of lying or being deceitful, the picture we took had no political intentions. This pointed reference to double-standards comes after Ozil nearly lost his place in Germany’s World Cup squad for spending time with Erdogan. Ozil also claimed he has been dumped by “charitable partners” and airbrushed out by some of Germany’s sponsors. This discursive and troubling rebuttal is aimed mainly at the German Football Association (DFB) president Reinhard Grindel, whom, Ozil claims, recalled him to Berlin after the Erdogan picture to clear the air but “was far more interested in speaking about his own political views and belittling my opinion”. In response, a DFB statement read yesterday: “We emphatically reject the DFB being linked to racism. The DFB has been very involved in integration work in Germany for many years. Hostility to Ozil has emerged from multiple sources, some of it allegedly Islamophobic. He claims he has been called “goat-f****r” because of his Turkish background and told to “p*** off to Anatolia”, a place in Turkey where many immigrants are based. He writes: “Criticising and abusing me because of family ancestry is a disgraceful line to cross, and using discrimination as a tool for political propaganda is something that should immediately result in the resignation of those disrespectful individuals. With the far-right in France grumbling that 15 of the country’s 23-man squad have African heritage (mainly from former French colonies), and Lukaku drawing attention to the prejudices he overcame in Belgium (England, too, has profound problems with warped nationalism and xenophobia), football is not showing the way to politics so much as crashing into its flames.